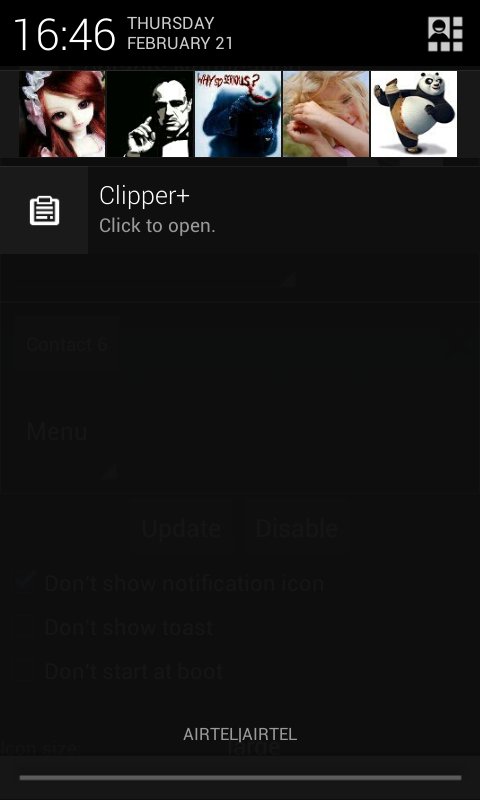 Every Android user likes to add few important contacts to their favorite list for quick access. There are a myriad of apps and widgets available in Google Play Store for this purpose, but Contacts Notification is probably the most elegant app available that can add these contacts shortcuts to the notification drawer. 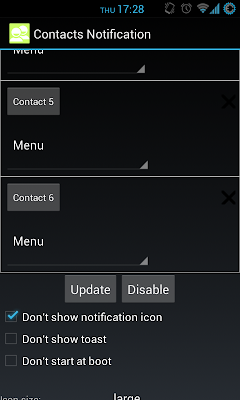 Adding contacts to notification drawer has both pros and cons. As the notification drawer can be accessed from almost every app, you don't have to minimize any app for making calls to these contacts. The only disadvantage of using Contacts Notification is the space it uses in the notification drawer, which then is almost negligible so you don't have to worry about it. Contacts Notification allows user to set up at most 6 contacts at a time. Tapping on the contact in notification drawer brings up the default contact panel from which you can make selections like call, messaging, email etc. 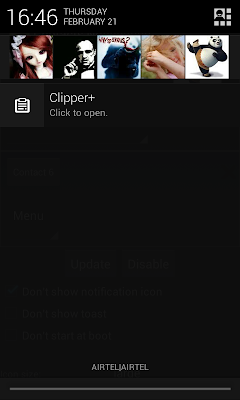 Contacts Notification is only compatible with Android 4.0+ (i.e Ice Cream Sandwich and Jelly bean) and does not require root permission.